If you’ve been following along, you’ll know that I’ve partnered with Opportunities for Employment’s Canada Goose Program. My job is to spread the word about a full time, permanent position for Winnipeg’s newest Canada Goose facility on Mountain Avenue. To learn about the position itself, click here: Meet Canada Goose at OFE. 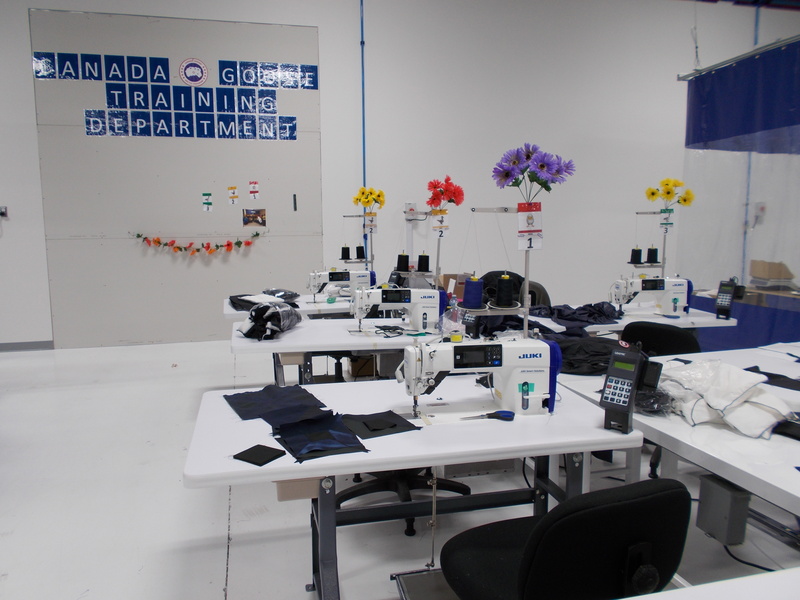 To read more about the training, click here: Meet OFE’s Canada Goose Employment Courses. These were the first words I said when I stepped into the workspace. It was bright, spacious, and running like a well oiled machine. Mallory from OFE took me on a tour of the environment. We started off in the employee break room. Cubbies, fridges and microwaves line the break room, as well as plenty of table space to have a meal. I noticed that each employee had a different coloured shirt, matching the line that they work in. They also had staggered break times which made it efficient for space, as well as for production lines. We met the instructor toward the back wall. Rows of machines with flowers mark where new recruits complete their 5- or 6-week training. New experienced hires also get their skills assessed here before joining a line. There are also 3 levels (1, 2, and 3) to identify how far in the training these employees are at. You’ll see an electronic number pad by the machines where employees plug in the amount of products they have created. This is also how the employers will track production rates and production bonuses. As mentioned above, employees on the line wear colours to identify which line they are on. Products begin at the furthest end of the line and are completed on their way down. 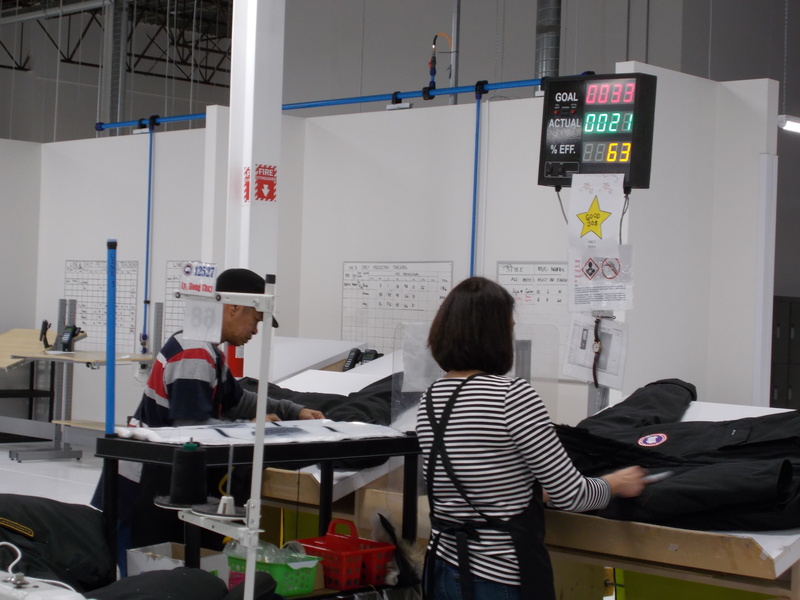 Each employee is responsibile for only one part of the overall product (eg: pockets, or zippers, etc). There are other stations that do cutting, or fill the coats with the down feathers. I was careful when walking through so as to not distract employees, who each have to focus on their item to be a productive member of their team. Everyone has a specific item to make, a specific number of that item to create that meets an expected level of quality, and that affects the overall team goal. 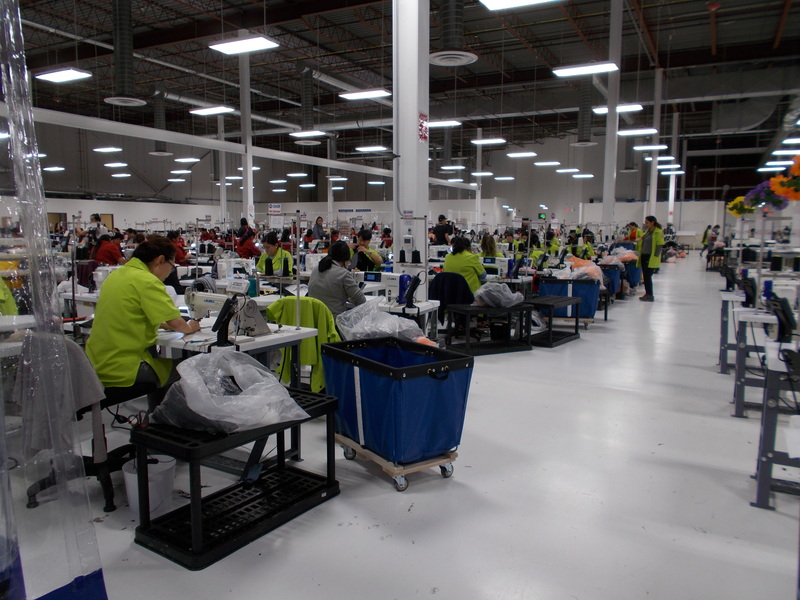 At the end of each line, there is an electronic sign that has the production goal (and how many actual products have been created) are displayed. During my short visit, this number moved rapidly when the lines were full. Talk about an efficient team! 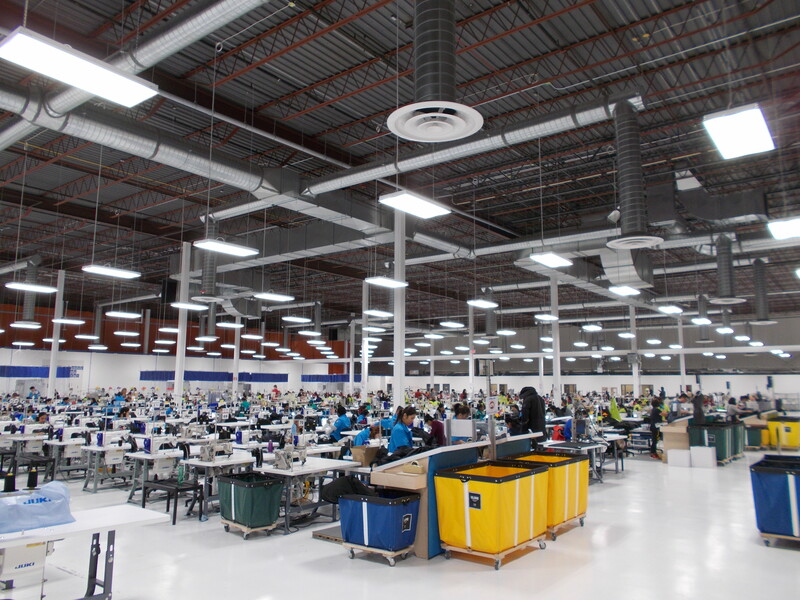 Products are then packaged into boxes, stacked, and shipped directly from this facility. 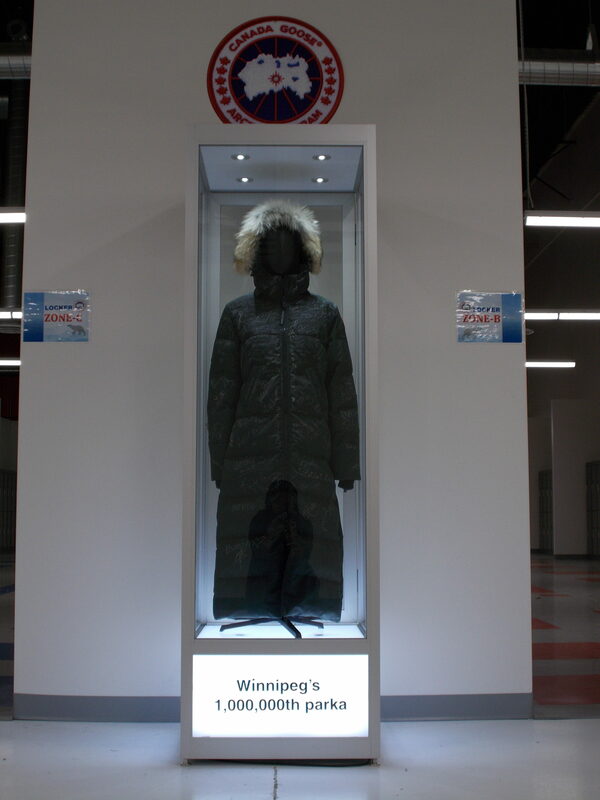 Winnipeg’s 1,000,000th parka, signed by the team who was around when it was made, can be found in a glass case at this new facility. What a milestone! 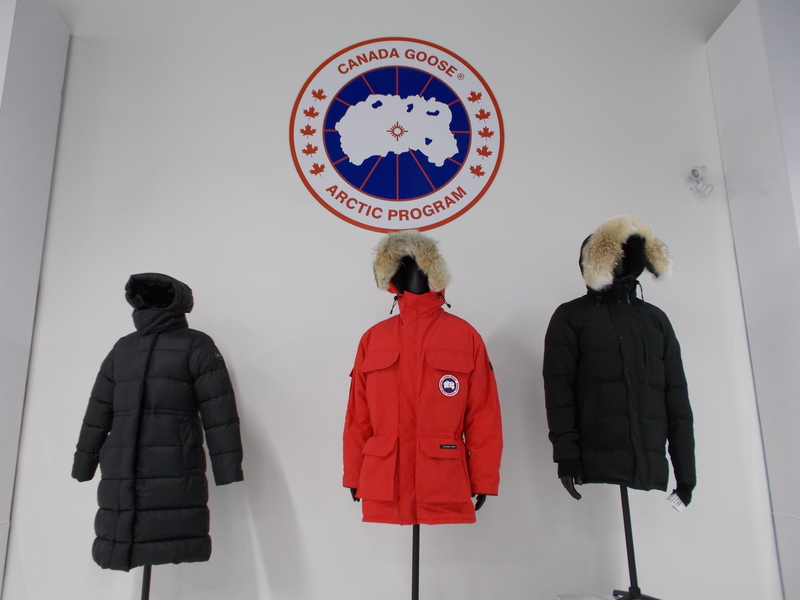 Interested in becoming a part of the Canada Goose team? Want to save yourself a spot for an information session with OFE’s Employment Coaches? Send me your information in the form below and I will send you an email shortly.